Hello, my lovelies! Summer is practically here and if you’re one of these people who want to make changes to improve your health but, are terrified of doing a complete 180 this post is for you. 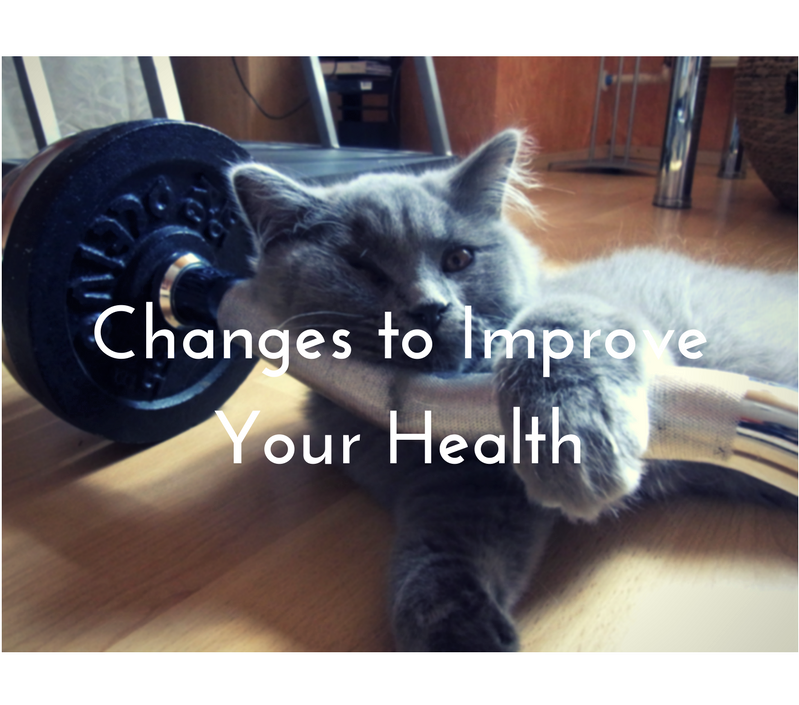 Today I’m sharing simple changes to improve your health. It’s not going to be difficult and this will help you motivate you to move forward in improving your health. If you’re not into working out or going to the gym yet. That’s okay you will get there in your own time but if you’d like to start the ball rolling then why not just start with some simple stretches? Every morning and before bed, stretch your body out. If you’ve been sitting all day long, then your muscles will love to be stretched. Plus it gets the blood flowing through your muscles easier and that’s a good thing! I don’t mean move out of your house but move your body more. Take the stairs instead of the escalator, jump off at a bus stop or 2 earlier. Incorporate walking more into your routine or, if you like dancing then perhaps a salsa class might be just what you need. I walk 20 minutes from the train station to my office 4 times a week and it helps. The weather has been pretty decent lately so a stroll every day won’t go amiss. It’ll be even better if you’re near a beach! I continuously preach about drinking water, and even though I don’t like water I drink it because I know the benefits. However, if you add a bit of lemon to the water and drink first thing in the morning it helps to gently detox your body and help balance out your ph levels. A lot of the foods we eat tend to eat (cake, pastries etc.) are more acidic which creates an unhealthy unsupportive environment for our cells. It’s all well and good to drink the lemon water but it’s pointless if you’re continuously feeding yourself crap. It doesn’t need to be perfect all the time but if you’re consistent it will make a difference. So, reduce the number of processed foods you consume and choose whole foods. When you’re food shopping purchase mostly from the outer aisles and use the mantra, if it’s in a box or tin can then it’s not a whole food. Talking to your GP before you undertake any major lifestyle change is beneficial. We’re all made up differently physically and whilst some can jump into a full-on body pump class, some can’t and that’s okay. You just need to know what camp you fall into and look after yourself. Also, sometimes you may think you’re doing ok and you find out your cholesterol or sugar is high. Knowledge is power and without your health you have nothing. Have you made any simple changes to improve your health recently? Were there any on my list, if not, share what you did in the comments below. As always thank you for reading and subscribing. Remember to sign up for my newsletter! It’s simple, easy and free too!